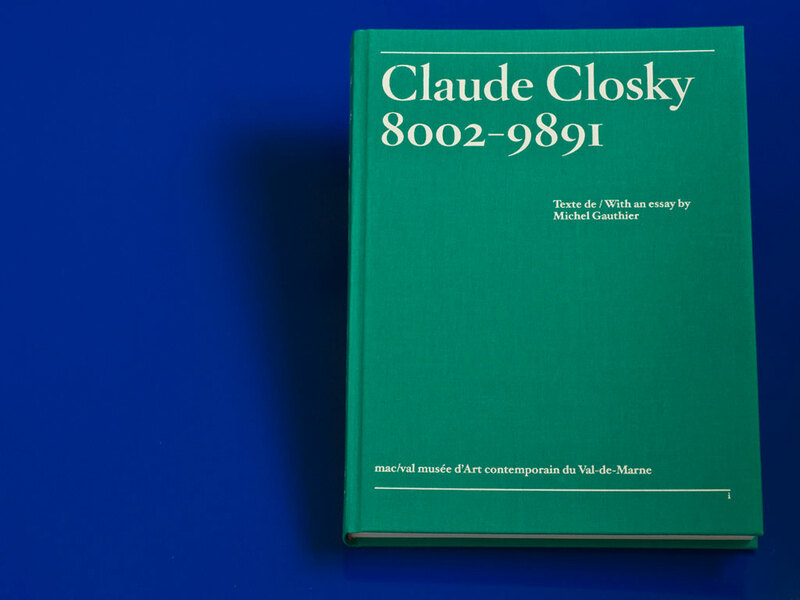 Catalog published on the occasion of Claude Closky’s retrospective exhibition at MAC/VAL, in which he presented his work exclusively in audio form. 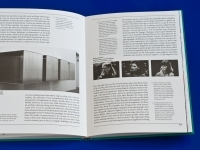 It seemed to make sense to propose that transcripts of every piece in the exhibition be presented in this catalog. For longer pieces, the transcript is partial. 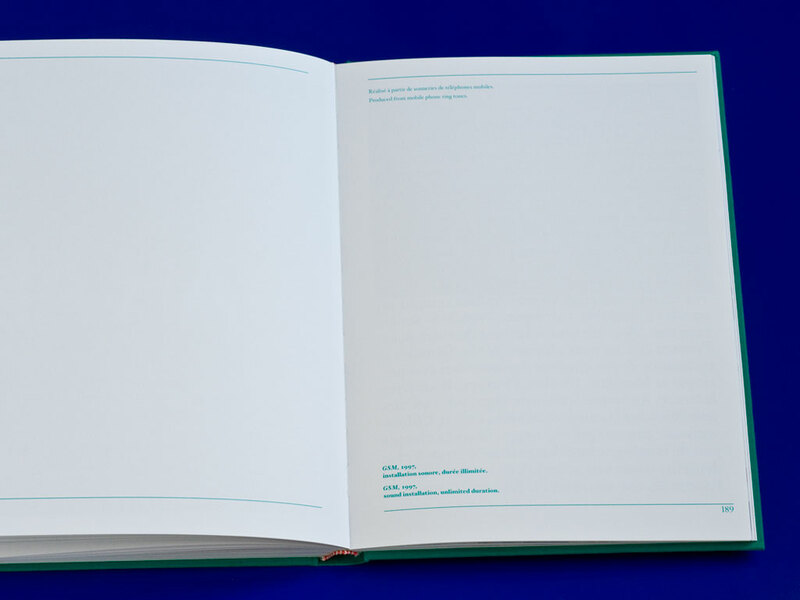 Where applicable, a reproduction of the original, non-audio form of the work is shown on the facing page. The transcript made it possible to present installation views of the work, in which one can’t necessarily read the text but can get an idea of the (often modest) scale and materiality of the works. 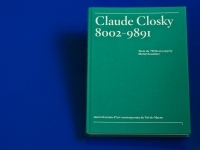 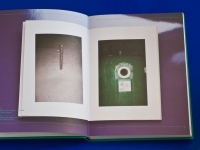 In the case of artist’s books, Closky photographed them in various situations. 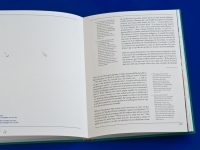 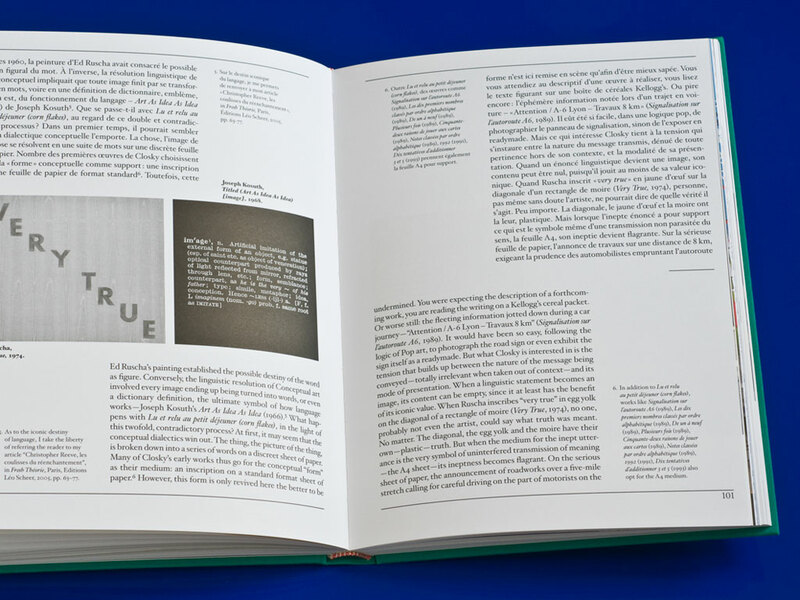 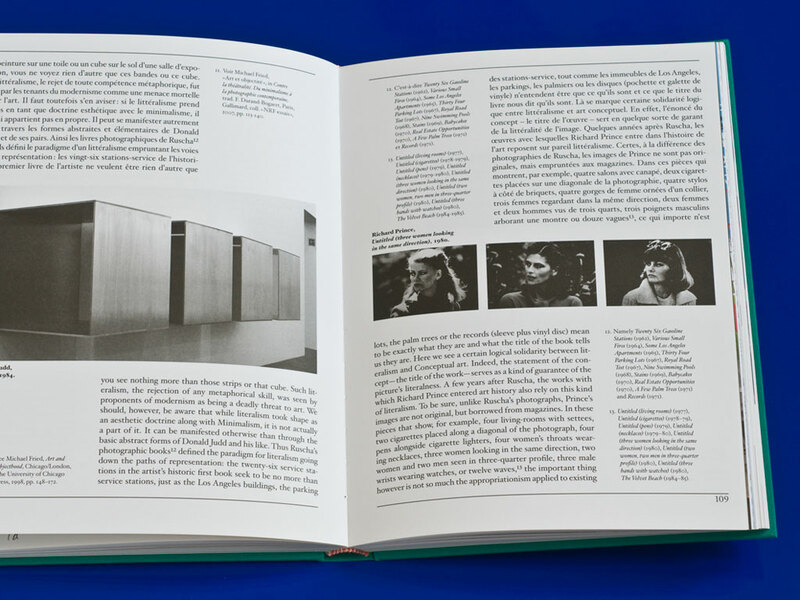 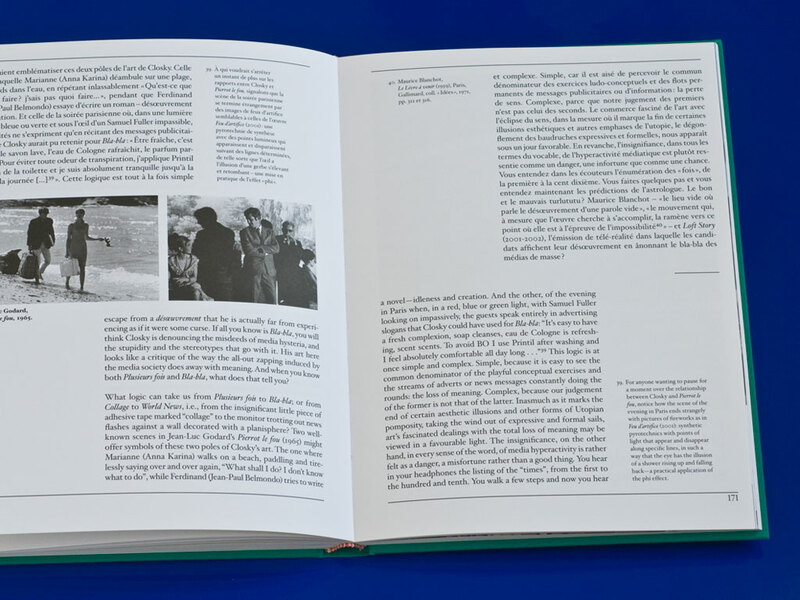 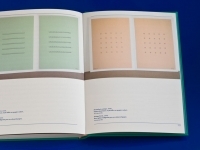 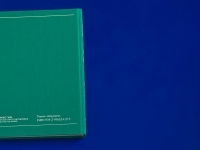 The binding and dimensions of the book are consciously classical and the typography is deliberately fastidious, in order to clearly distinguish this book from the many books that Closky has designed himself, whose layouts often refer to either lowbrow magazines or the “non-design” of conceptual art books. 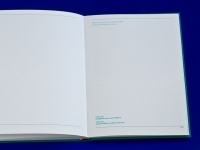 The page numbers and lines at the top and bottom start with the front cover and traverse the entire book, right through to the back cover. 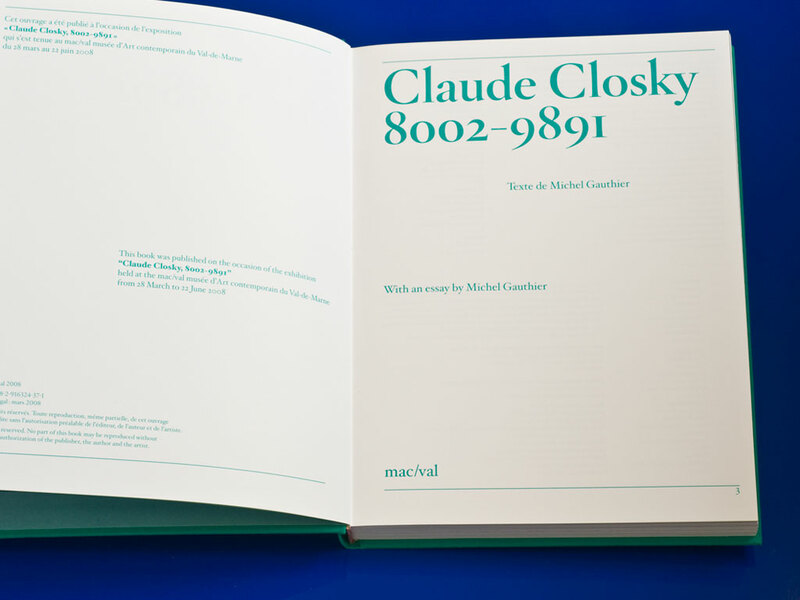 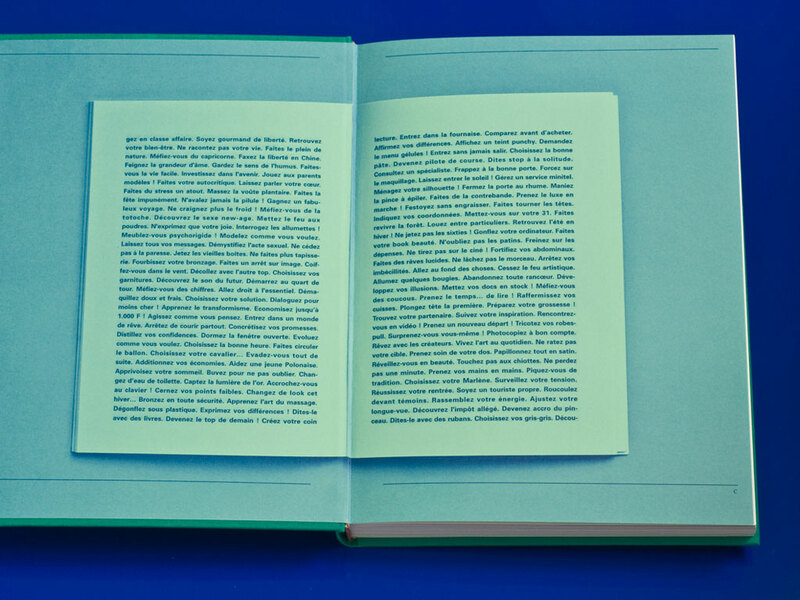 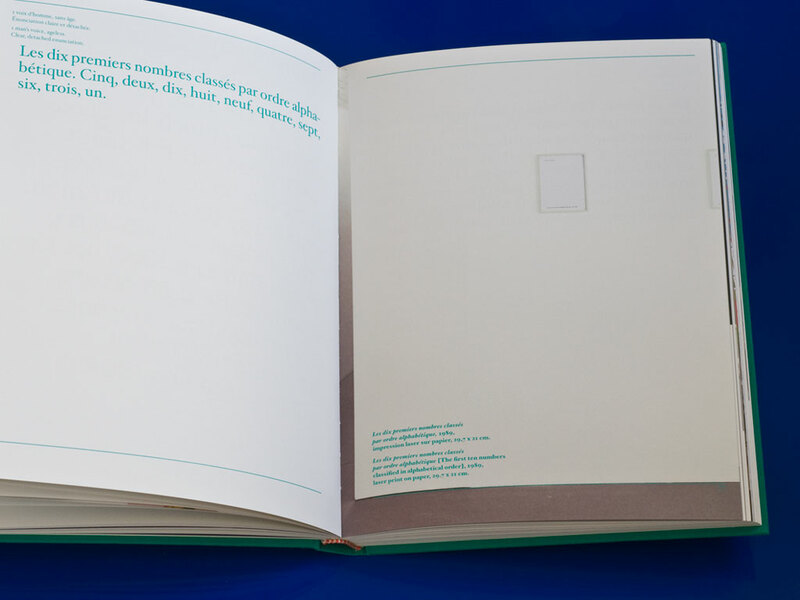 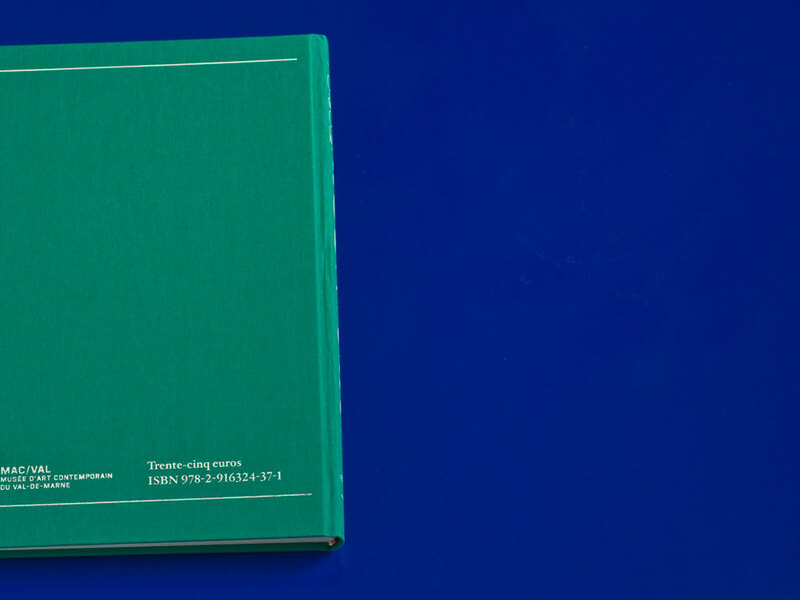 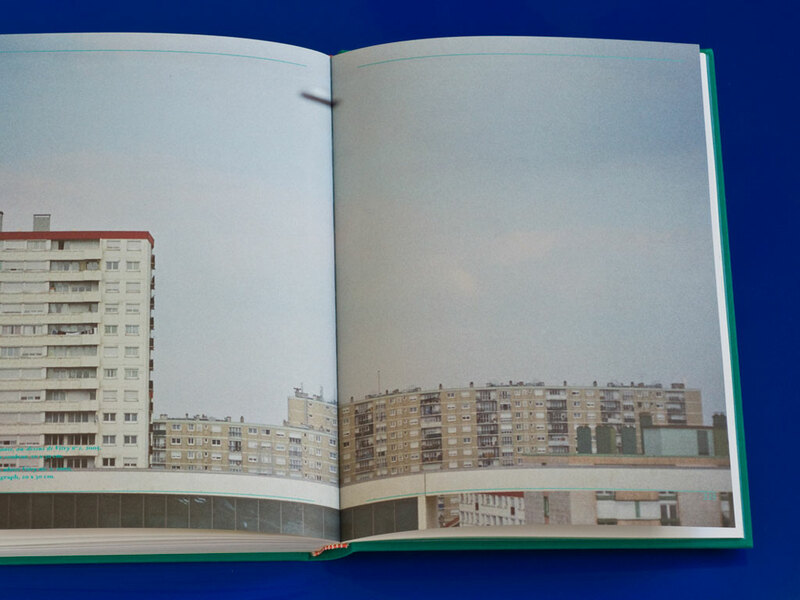 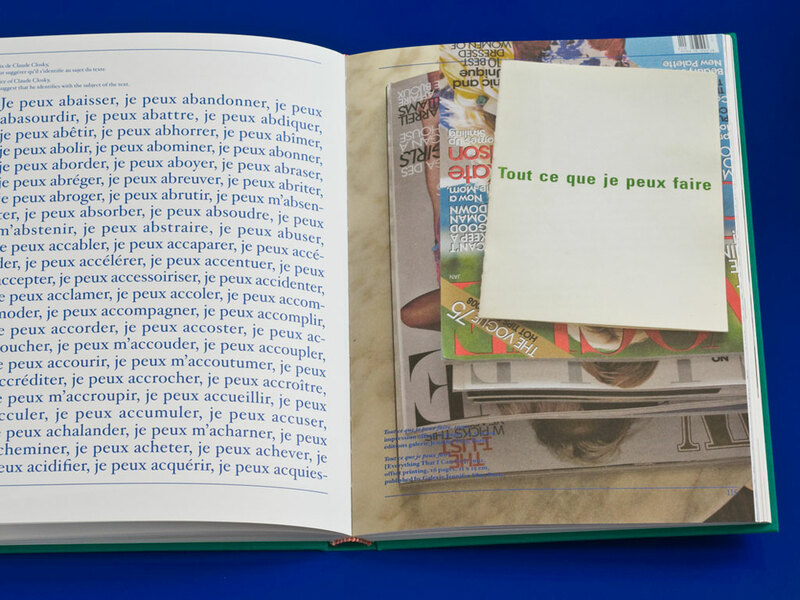 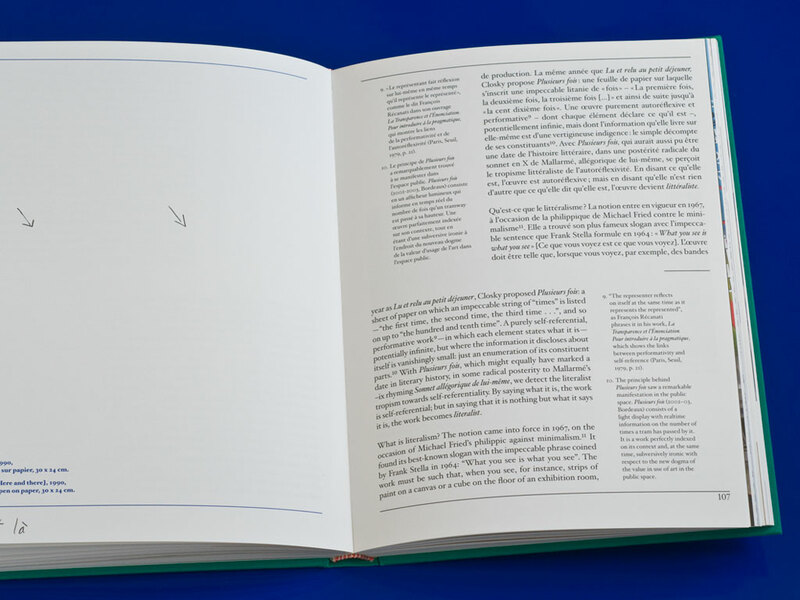 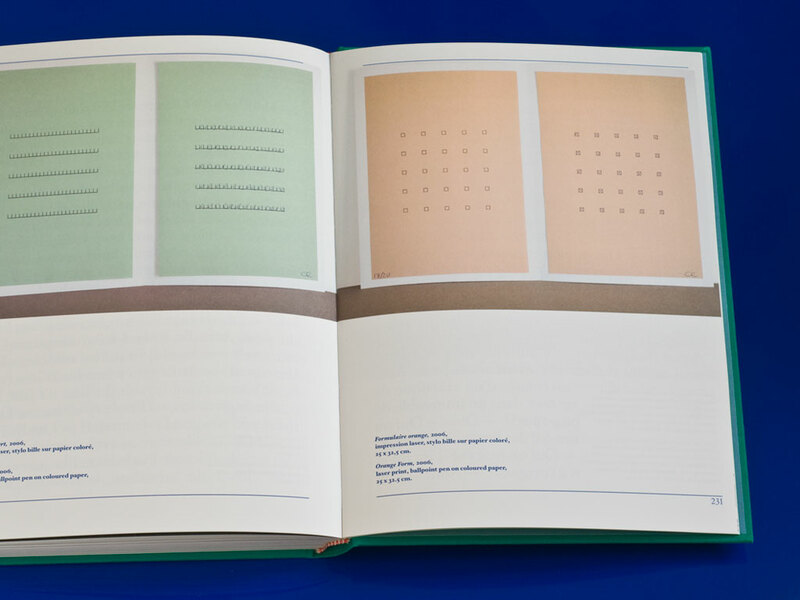 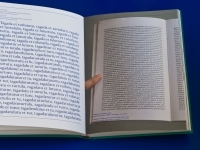 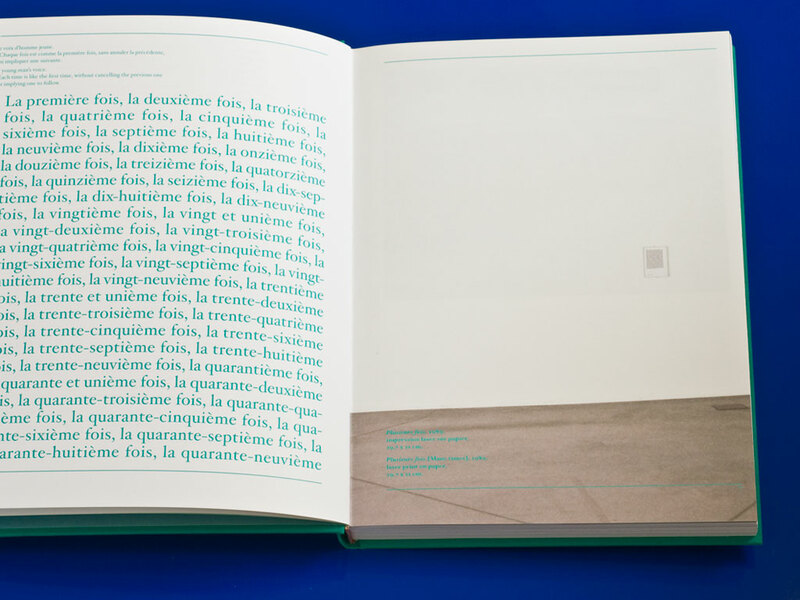 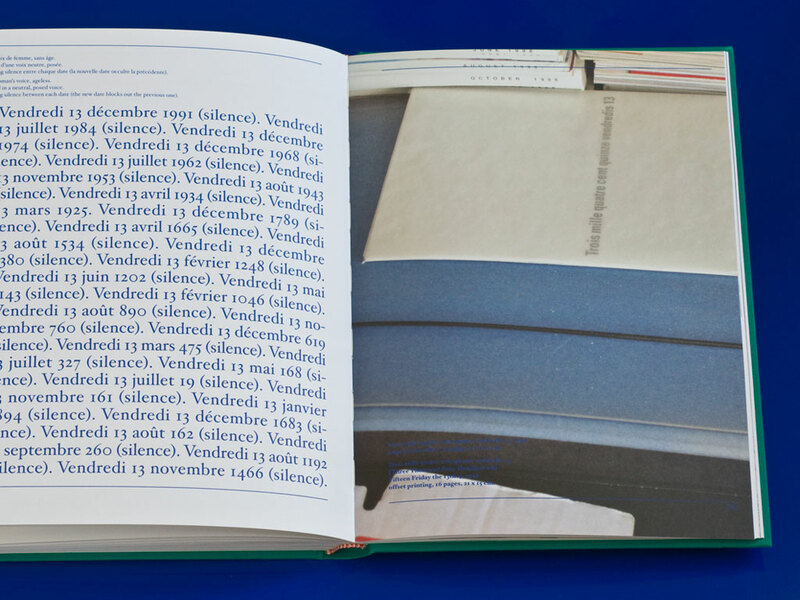 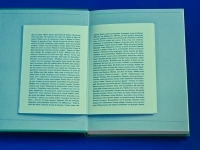 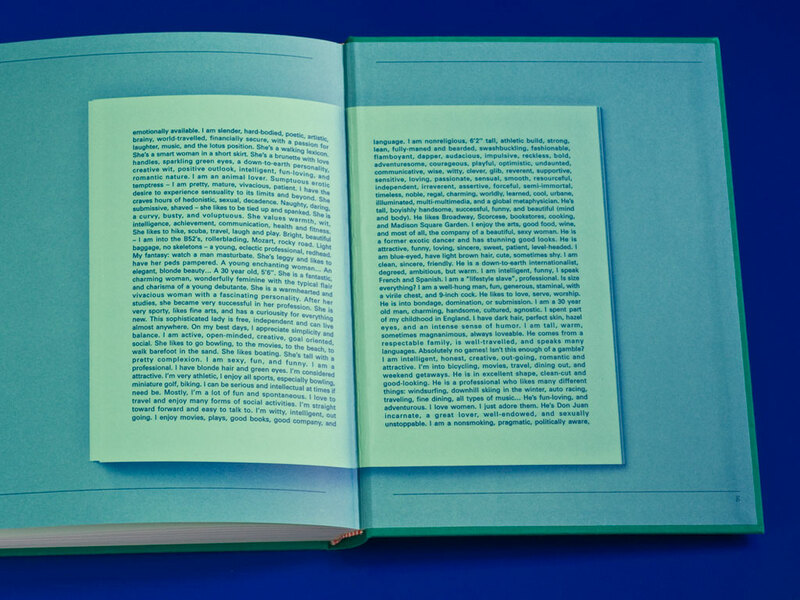 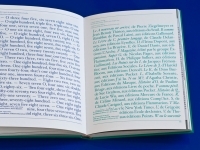 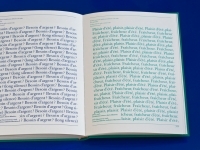 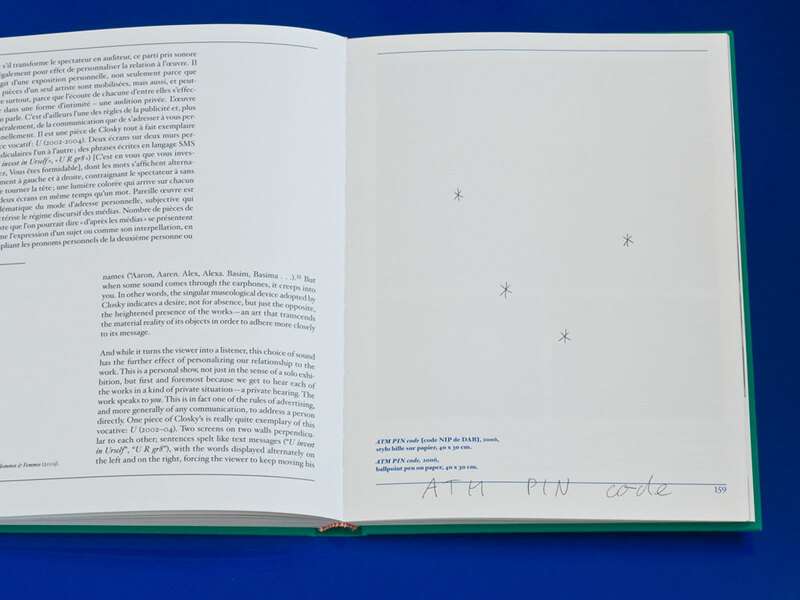 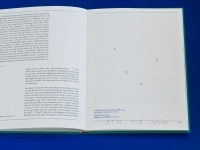 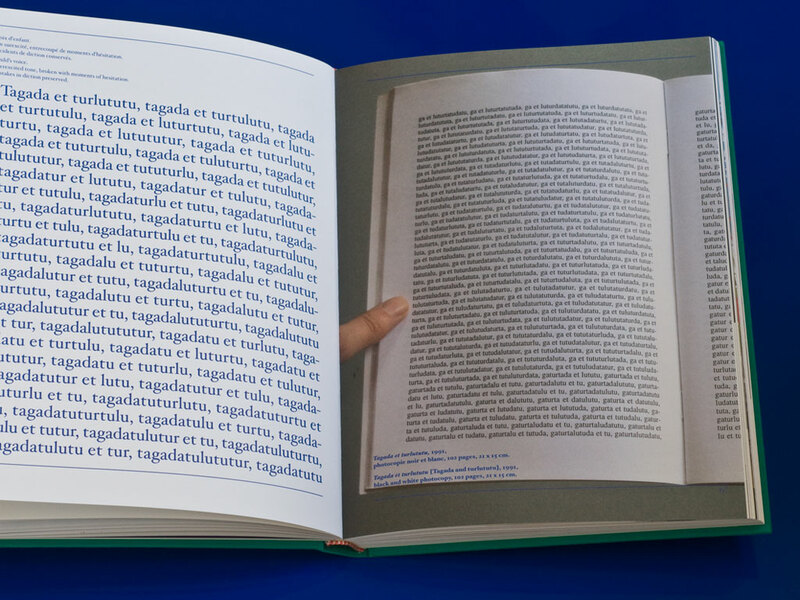 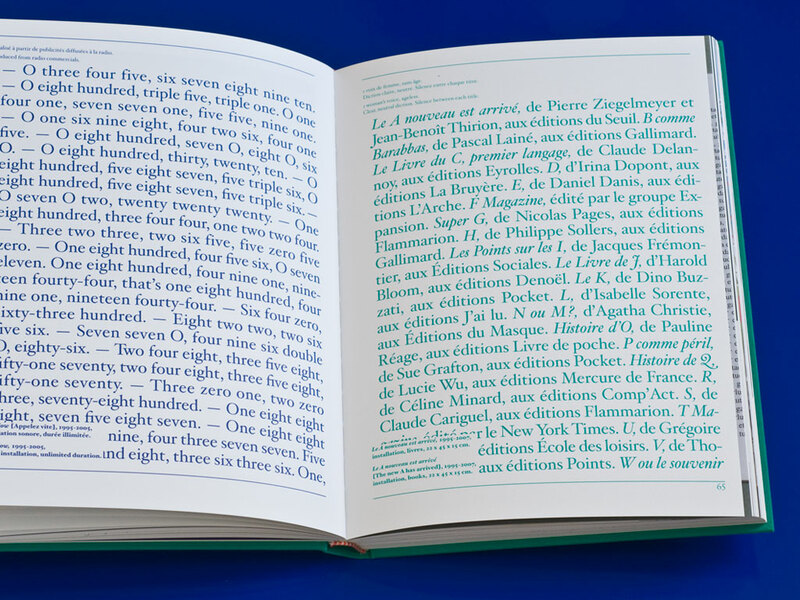 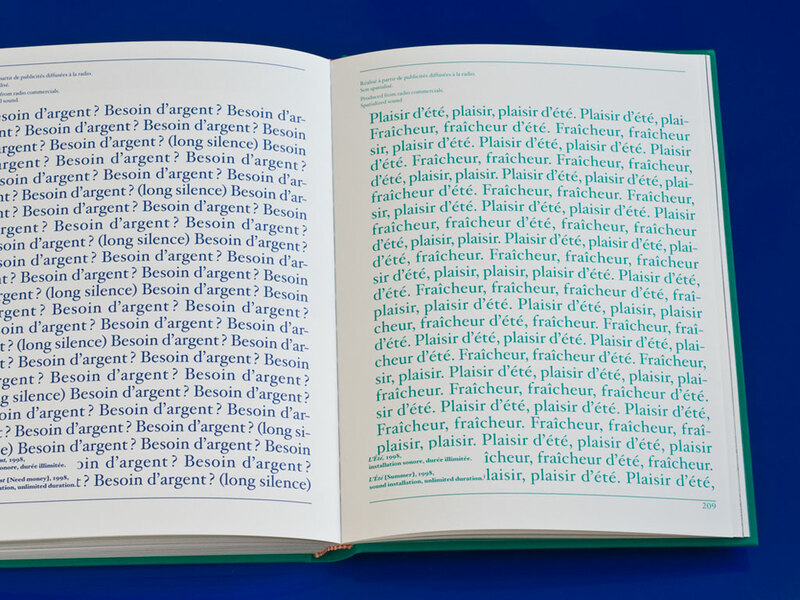 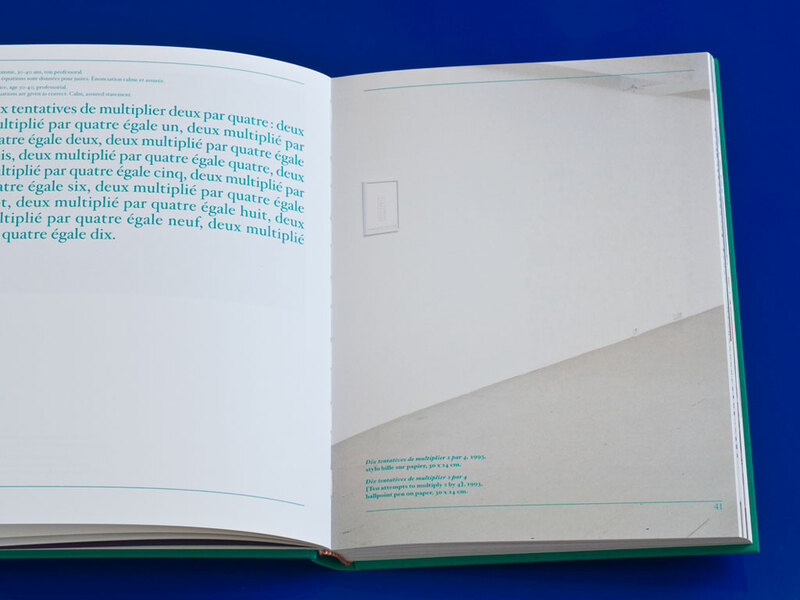 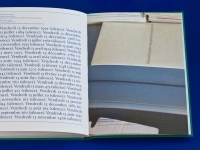 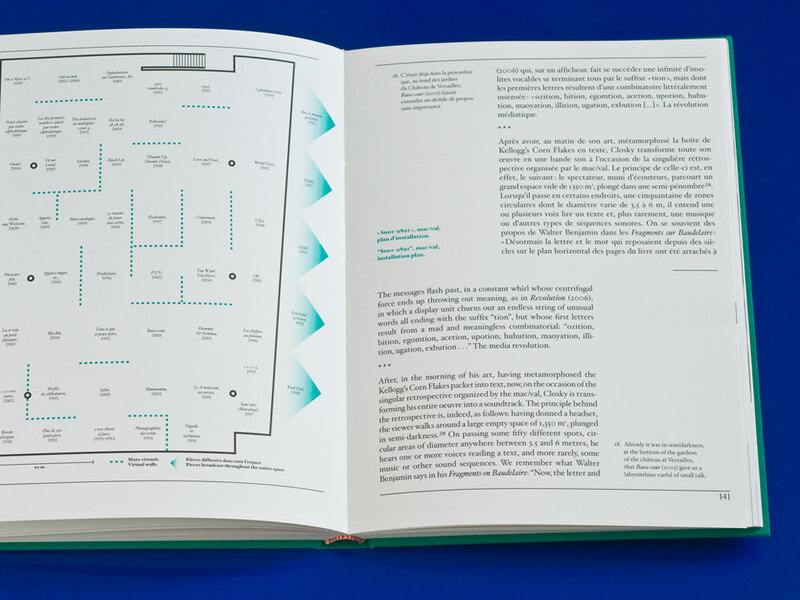 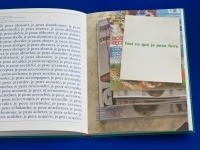 On the green endpapers, a double page from two of Closky’s artist’s books are reproduced life-size in blue. 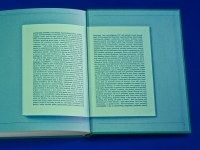 The inside pages alternate between blue ink and green ink with a section in black ink for the essay near the middle. In the layout of the essay, the placement of the English translation diagonally below the French version suffices to distinguishes the two languages. 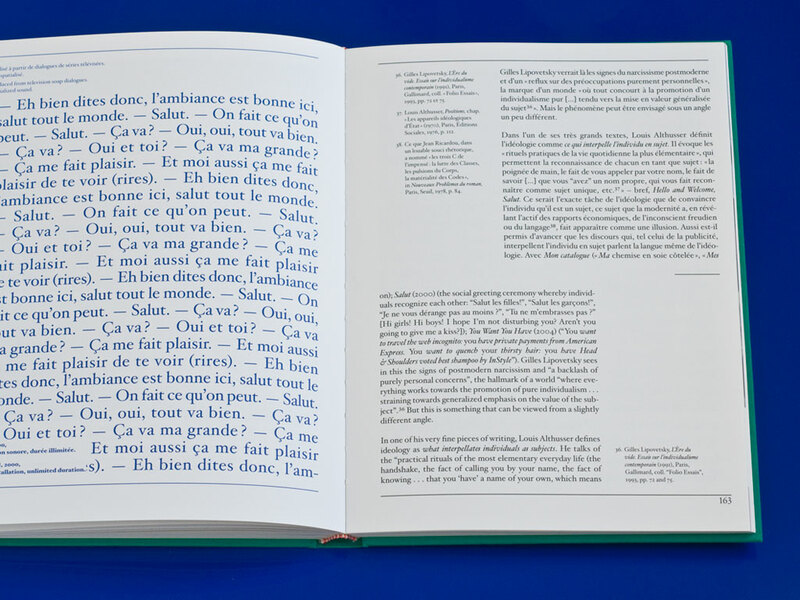 With the French on top and the English below, reproductions of historical references could be placed between, half way down the page on which they are mentioned in the text.